Back by popular demand! We are excited to announce that our 50 Free* 4x 8 Photo Card offer is back. Now through December 12th, you can receive 50 Free* 4 x 8 Photo Cards. *Shipping not included. 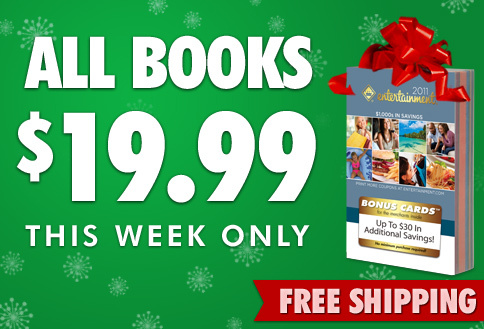 Offer expires 12/12/10 at 11:59 pm PST. Promo code 50cards must be used at time of on-line checkout with one, valid transaction, for up to 50 4 x 8 photo cards only. Not available on store pick-up orders. One promo code per person, per household and per purchase. Official Rock Band Wireless Guitar for PS3 & BONUS 3 Stand-alone Games $30 shipped! Enjoy movie nights & family entertainment any day! NBA or NHL Storage Step-Up now $15! Plush, Soft & Warm USB Heated SlippersKeep Your Feet Nice & Toasty! HOT deals from 6pm! Skechers from $10, New Balance up to 70% off & MORE! 80% off at Restaurant.com. $25 gift cards for $3! 80% off using code 'JOY' thru 12/12. Be sure to read the fine print for each offer, not all offers have the same terms! Hal the Moose is one cute and squishy holiday plush measuring more than 15 inches from hoof to antler. Your special someone will dream of sugar plums cuddled with our exclusive Build-a-Bear toy. Hurry, supplies are limited! Pink RipStik Caster Board $35.53 shipped! .97 Cent Shipping to home! Or Free Site to Store shipping! 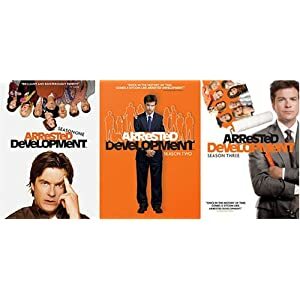 Arrested Development - The Complete Series (Seasons 1, 2, 3) $27.99 shipped! LAST DAY! Buy a toy and your entire order will ship for free at DisneyStore! Buy a toy and your entire order will ship for free! Use coupon code TOYMANIA - exp 12/8. Lego Games on Sale w/FREE shipping! *Stocking Stuffers* $10 off $30 + FREE shipping at e.l.f. Markdowns for all the kids!